They don't call Warren Buffett the "Oracle of Omaha" for nothing. He's not just a hugely successful investor and cherry Coke enthusiast, he's also someone who is willing to share tips on how to be just like him. 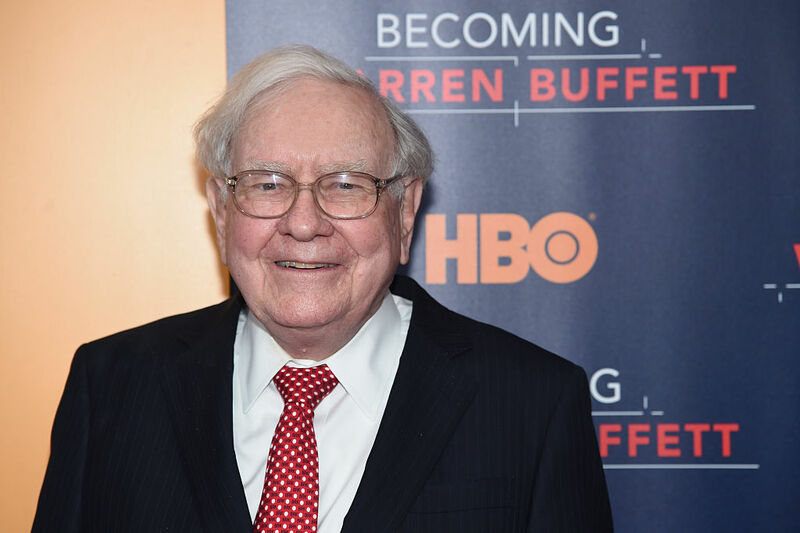 Buffett's 10 Rules To Get Rich was originally published in an article in Parade magazine in 2008, written by Alice Schroeder. Since then, these 10 rules have been repeated frequently and studied by many who wish to emulate Warren Buffett and make even just a fraction of his $75 billion net worth. It can be tempting to want to go out and splurge when you first begin making money. Buffett urges us to resist the temptation and instead reinvest the profits. This is a lesson he learned early in his career. In high school he bought a pinball machine with a friend and had it installed in a local barbershop. They took the money they earned from the first pinball machine and bought another. Soon they had eight pinball machines in different stores. When Buffett and his friend eventually sold that business, he used the proceeds to buy stocks and launch another business. Today, Buffett's Berkshire Hathaway doesn't pay a dividend. Instead he reinvests his shareholders' profits into Berkshire. Our mothers always said "if everyone was jumping off the Brooklyn Bridge/Sears Tower/Golden Gate Bridge, Pike's Peak, would you do it too?" Buffett counsels people to resist basing your decisions on what everyone else is saying or doing. When he started out in 1956, he was called an oddball. He had $100,000 he had put together from a handful of investors and he was in Omaha, not on Wall Street. He refused to tell his partners where he was investing their money. Everyone thought he would fail. He proved them wrong 14 years later when he closed that partnership. It was worth more than $100 million. Gather all the information and research you to need to come to a decision. Then ask a trusted friend or relative to make sure you stick to your deadline. Buffett has always prided himself on making decisions quickly and acting on it. He calls any sitting around contemplating the situation "thumb sucking." Your leverage in bargaining is always the strongest before you start a job. At that point, you have something to offer that the other wants. This is a lesson Buffett learned the hard way. His grandfather hired him and a friend to dig the family grocery store out after a blizzard. Buffett and his friend spent five hours shoveling. His grandfather gave the pair less than 90 cents to split. Ever since then, Buffett has refused to negotiate. He states his price and sticks to it. We've all been there. Amazon and iTunes make it easy for whittle away at our bank balances $1.99, $5, $22 at a time. In the moment, the purchase doesn't seem like a big deal. However, it all adds up. Warren Buffett invests in companies that are run by people who truly obsess over the smallest costs. He acquired a company whose owner counted the sheets in rolls of toilet paper to make sure he wasn't being cheated. It turns out he was being cheated, there were less than the 500 sheets he'd paid for. This one seems like a no brainer. Buffett has never ever borrowed a large amount of money. Not to invest and not for a mortgage. He advises people to negotiate with their creditors to pay what they can. When you become debt-free, work on saving money to invest. In 1983, Buffett bought the Nebraska Furniture Mart because he liked the way its founder did business. Rose Blumkin was a Russian immigrant who built the store from a pawnshop into the largest furniture store in North America. She undersold the big shots and was a merciless negotiator. The lesson in this is that with a bit of ingenuity and tenacity, you can beat out a more successful and established competitor. When Buffett was a teenager he once went to the racetrack. He bet on a race. He lost. To make back his money, he bet on another race. He lost again. He was sick to his stomach. He had lost nearly a week's earnings. He never repeated that mistake again. In 1995, Howard Buffett's employer was accused of price fixing by the FBI. Buffett advised his son to imaging the best and worst case scenarios if he stayed with the company. Howard quickly realized that the risks of staying with the company far outweighed any positives. He quit the next day. Despite his $75 billion, Buffett doesn't measure success by the size of a bank account. In 2006, he joined the Giving Pledge and vowed to give almost all of his enormous fortune away to philanthropy, mostly through the Bill and Melinda Gates Foundation. He refuses to fund monuments to himself. There will be no Warren Buffett School of Business. "When you get to my age, you'll measure your success in life by how many of the people you want to have love you actually do love you. That's the ultimate test of how you've lived your life." Warren Buffett and Charlie Munger have been friends since 1959. They've worked together since 1978. Buffett and Munger have never had even one argument in their more than 40 years working together and 60 years of friendship.